whisk all ingredients together in until completely combined and powder is not clumpy (will have tiny bubbles and be frothy on top). Pour into canister, prepare per your ice cream maker's instructions. 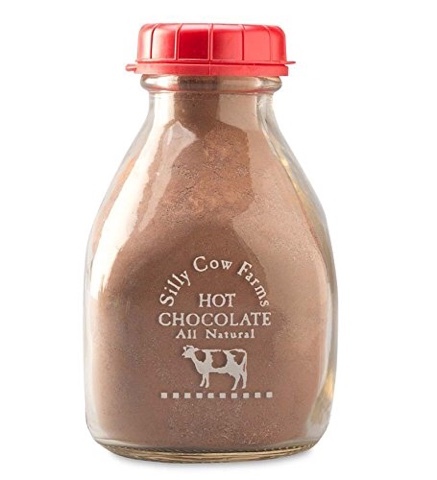 Sometimes it's available at Sprouts or World Market, but if you can't find Silly Cow Farms hot chocolate, you can order it online or just pick any other hot chocolate mix that isn't full of artificial sweeteners and weird ingredients that normal people can't pronounce.